BitShares (BTS) operates on its own blockchain. The total supply of BitShares that will ever be issued is 2.71 Billion coins, and the current supply of BTS in circulation is 2.71 Billion coins. Current BitShares price is $ 0.054 moved down to -6.90% for the last 24 hours. All time high (ATH) price of BitShares reached $ 0.896 on 7th Jan 2018 and fallen -94.0% from it. BitShares's share of the entire cryptocurrency market is 0.08% with the market capitalization of $ 146.54 Million. BitShares’s 24 trading volume is $ 15.74 Million. It is trading on 35 markets and 21 Exchanges . 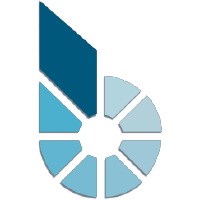 Find more details about BitShares cryptocurrency at the official website and on the block explorer. BitShares price Index provides the latest BTS price in US Dollars, BTC and ETH using an average from the world's leading crypto exchanges. The BitShares to USD chart is designed for users to instantly see the changes that occur on the market and predicts what will come next. BitShares is a blockchain-based financial services and development platform. BitShares Blockchain implements an industrial-grade technology focused on businesses, organizations or individuals, with an amazing eco-system and free-market economy. Based on open-source MIT-licensed Graphene technology, BitShares was launched in its existing form on 13th October 2015, known prior to that as a community project: 'ProtoShares'. Ever since then, the BitShares blockchain and its dApps have been maintained and developed by workers elected via stakeholder consensus, consisting of more than 30 highly skilled professionals.